Great Nails for June Brides! | Vanity and Everything in Between. Great Nails for June Brides! The weekends of June are packed because of weddings left and right. I still do not understand why June is one of the most coveted month for weddings. But for all June brides out there, make sure your nails are as beautiful as your face on your big day! Caronia has you covered with they nail care products to make sure your nails are pretty on your big day. Their best bet for shades are Silver Platinum, White Rose, and Platinum Special. It's the first time that I've seen Platinum Special and I would have worn this have I known about this before I got married. If your wedding motif if silver like Toni Gonzaga's wedding, then Silver Platinum would be a great fit for you! White Rose will surely look good in any wedding colour motif. Caronia is having a giveaway! 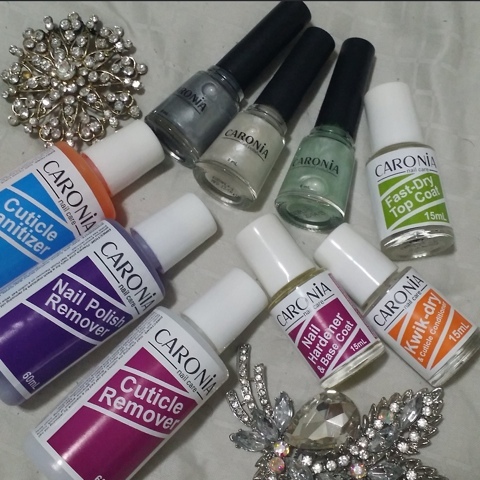 All you have to do it post your bridal themed manicure on Instagram and tag @caroniaph. You must include the Caronia nail polish you used on the photo and use the hashtag #junebrides and #caroniaph. That's it! Caronia is available at all leading department stores nationwide. Visit their website at caronia.com.ph. You can also follow Caronia on Facebook and Instagram. My Lips are Feeling Retro Matte!